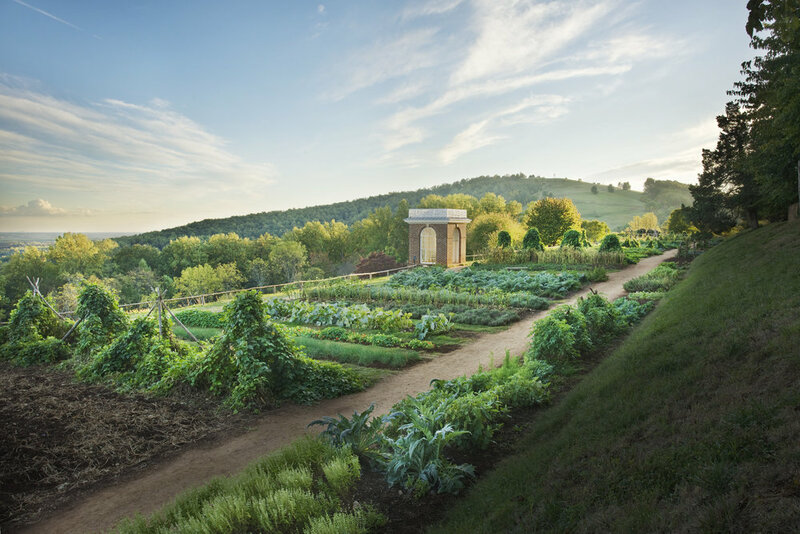 We speak with Pat Brodowski, head gardener at Jefferson’s Monticello. Pat shares her knowledge about how and why Jefferson grew the plants he did, the experimental nature of the household gardens and what they are doing to maintain the gardens during our time. It’s a fascinating conversation which provides some real insight on Jefferson the gardener. Farmers are dreamers — and gardeners too. I have big plans for this year’s garden. I’ve been buying and ordering my seeds. Yesterday, after work, I started up my lawn mower (first pull) and my rototiller (seven-thousandth pull) then, like Romulus among the Seven Hills, I made one round with the tiller to claim my precinct and got started. I spent part of the evening trying to decide where to plant what. I will start my tomatoes this weekend inside — this is North Dakota, where you don’t dare plant a tomato outside until after Memorial Day — including, this year, several Joe Cocker tomato seeds given to me by my friends in western Colorado. I’m not even sure what that means — Joe Cocker tomatoes — but I plan to make them flourish with a little help from my friends. Read this week's Jefferson Watch essay, "Our Gardens".